Raise Your Own Egg Laying Hens! One of the fastest growing trends in Nashville is the “Backyard Flock” in other words raising your very own Egg Laying Hens. 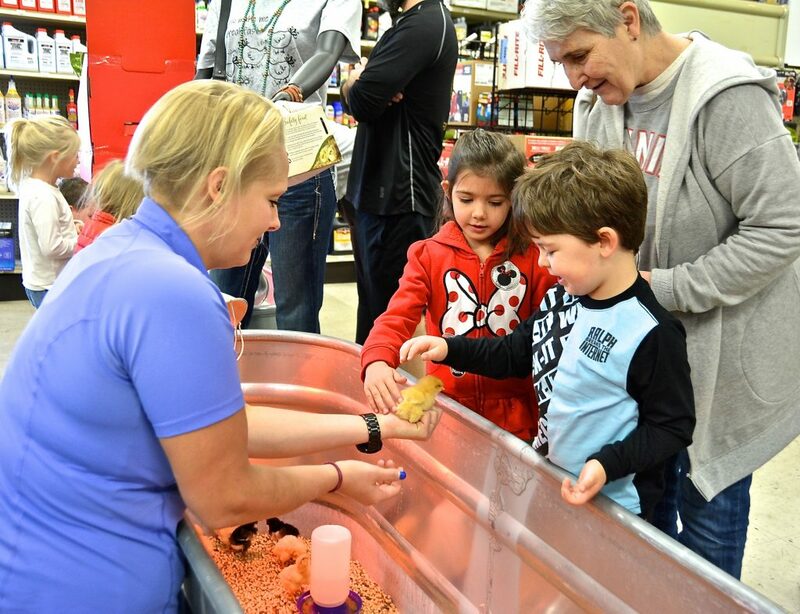 While hundreds of people dream of raising their own chickens for many reasons; fresh eggs, sustainability, fertilizer, weed & insect control, education, etc; it can be difficult for the first time chicken owner to know where to get started. 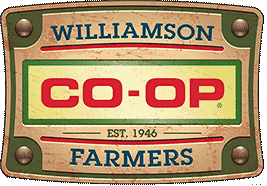 At the Williamson Farmers CO-OP, we pride ourselves on being able to get anyone started on their family’s first chicken flock. We stock many different kinds of pullets (those are the female, egg laying hens) from the beginning of March through the end of April, with new chicks coming in weekly. From the “Easter Egg” laying Ameraucanas to the dark brown egg layers like the Welsummers, there is a breed out there for everyone to love. 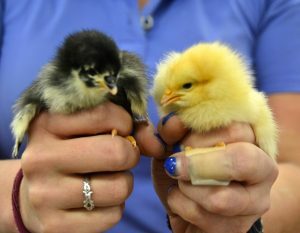 A question we often get is how many chicks the new owner should purchase. Our answer is 6, this seems to be a happy number amongst pullets & they are able to form bonds with & rely upon each other as they grow. When preparing to bring in your first flock, we recommend setting up your coop before you buy chicks, whether you build your own or purchase one from us, we are happy to help with advice. 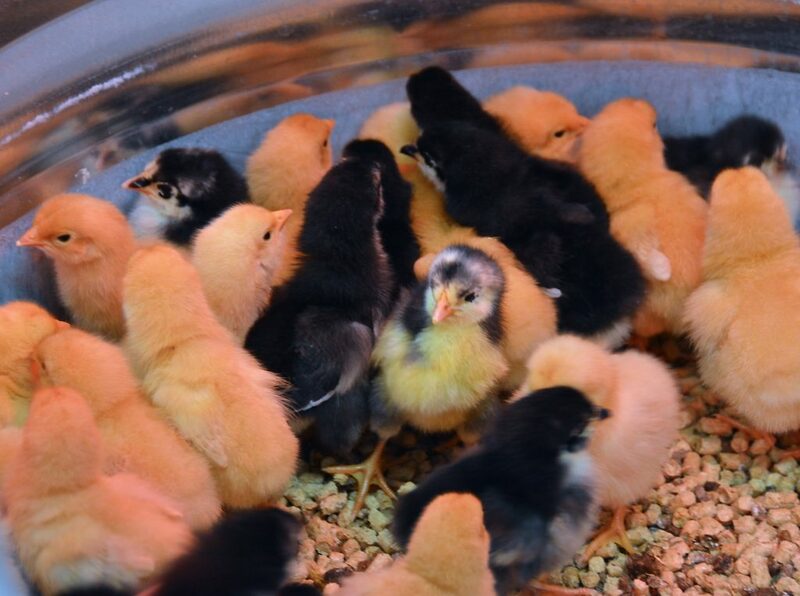 Because when you buy chicks from us, they are newly hatched you will also need to have prepared a place to contain them for the first couple of months so that they will be under a heat lamp & safe from predators; this also helps them get to know & trust you. By filling your temporary container & your coop with shavings, your ladies will have a nice, cushy place to run around & rest on. The final thing we recommend purchasing before you buy your girls is a system for watering & feeding your egg laying hens. By having this already in place, you will be able to simply fill them up & enjoy watching your newest friends play & explore once you bring them home. There’s only one thing better than Farm Fresh Eggs, that’s fresh eggs from your own backyard! Drop by the Coop, we are happy to help get you started!